It is inevitable that dogs need to be taken for walks on a daily basis. So why not do it in style!? At Funny Fur, we offer a huge selection of fashion-forward dog collars and harnesses made from the best materials and quality craftsmanship, hundreds of styles to match your dog's personality, and most importantly, are extremely functional to meet you and your pet's needs. With our fashionable dog collars, dog harnesses, dog leads and dog ID tags, you will have everything you need to walk your dog in style. Even if you are trying to go for a more subtle look, don’t worry! We have every color and every design that you might want for your pup. 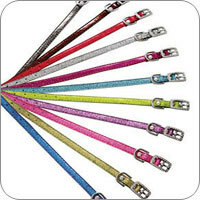 You can also customize these items with your pets name on them, with personalized dog collars! Your pet can now, not only look fashionable indoors, but outdoors too! 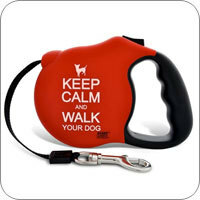 Browse through all of these dog accessories and purchase your favorite ones today! Your proud puppy will be able to strut in style! At funnyfur.com, we not only want happy dogs, but happy owners. We have found that these two aspects usually go hand in hand. Our dog collars are a great example of how our products boost happiness. 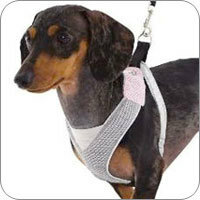 Our dog harnesses look great, so your dog will look wonderful, and you both will receive complements. It's a beautiful thing and speaking of beautiful thing, have you seen our dog jewelry? Humans loved to be pampered and so do dogs! Treat your dog to some beautiful dog jewelry today!